Your centrepiece is our command. 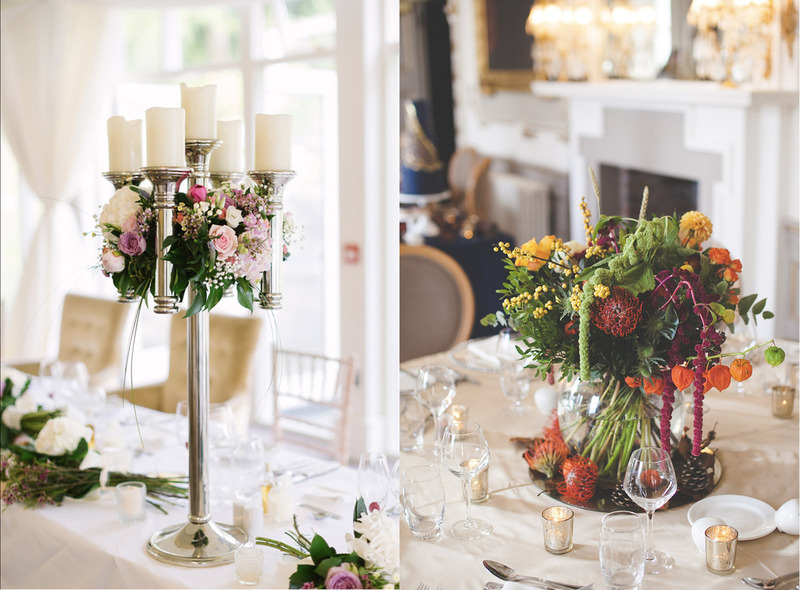 Whatever your theme, we can create the perfect wedding table centrepiece for your unforgettable occasion. From towering, elaborate arrangements to elegant, intimate or simple centerpieces, Simply Divine Weddings have created many and we have many to choose from. Whether you seek fresh floral/foliage, artificial floral, candelabras, or pieces to accentuate your chose theme, we have you covered. There are very few ideas beyond our centrepiece capabilities – in fact we have yet to hear of one. 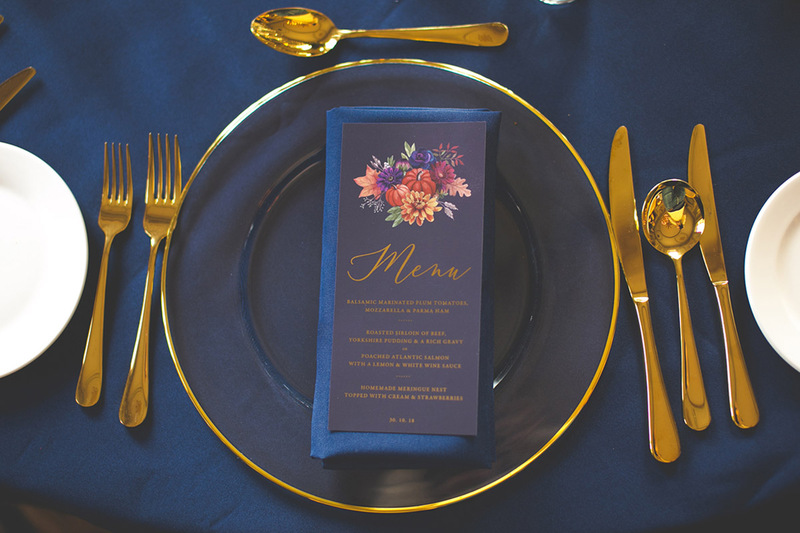 Add a touch of elegance to your wedding reception with our gorgeous gold cutlery settings together with our colour table linen. 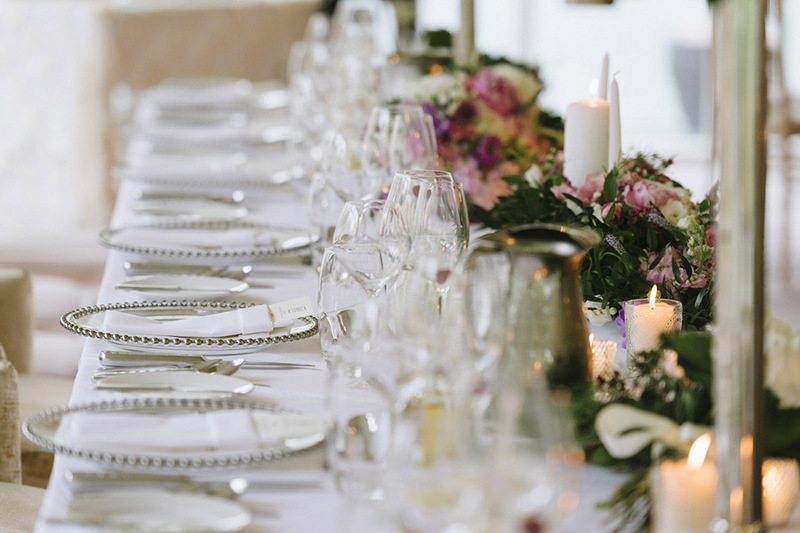 From the table linen to table runners, gold cutlery hire and napkins to charger plates, our team has all the ingredients to make your table arrangements fit for the wedding of your dreams or memorable event. As part of our whole-room decor service, our specialists will ensure that your table settings colour-schemes fit fabulously with the overall theme. 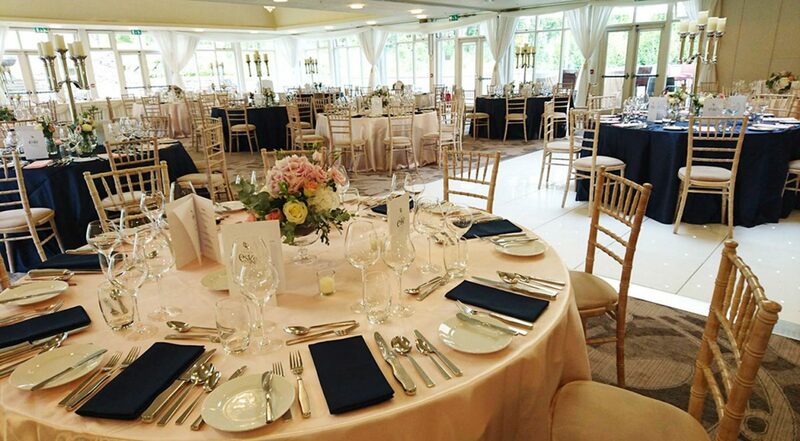 To find out more about our wedding table centrepieces, gold cutlery hire, table settings and whole-room wedding and events decor, please get in touch today.